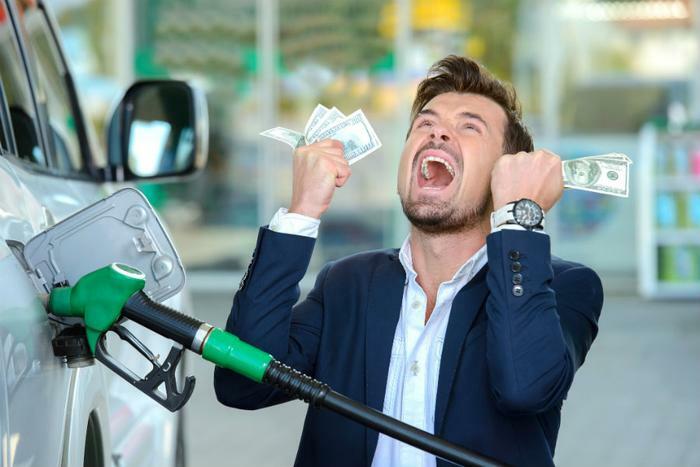 Consumers are likely to pay considerably more for gasoline when spring arrives, as slowing world oil production and rising demand will likely put upward pressure on prices. Since late 2015, consumers have caught a break at the gas pump as Saudi Arabia opened the spigots in an effort to hurt U.S. shale producers, who have consistently cut into OPEC market share. The resulting huge increase in supply drove down the price of oil to between $30 and $40 a barrel, making many U.S. shale operations unprofitable. But the result for consumers was a huge drop in prices at the pump. By mid-December 2015, more than two-thirds of U.S. gas stations were selling regular gas under $2 per gallon, the first time that had happened since 2009. Those days may be over. Patrick DeHaan, head of petroleum analysis at Gasbuddy, says OPEC has now cut production and those cuts are beginning to have an impact. "OPEC's production cuts have removed over five hundred million barrels -- 1.8 million per day -- of supply since they were enacted to start 2017," DeHaan told ConsumerAffairs. And while U.S. oil production has ramped back up to the highest levels since 1970, DeHaan says U.S. oil exports are at record levels. Refiners are having to pay more for oil and those rising costs get reflected at the pump. "U.S. production is nearing record levels, but the rise in U.S. production can't come close to offsetting OPEC's cuts, which have seen amazing compliance," DeHaan said. "Also, the economic collapse in Venezuela sent 2017 oil exports to their lowest level since 1989." As a result, retail gasoline prices are headed up. The AAA Fuel Gauge Survey shows the national average price of regular is up three cents a gallon in the last week; in the last month, they’re up 11 cents overall. DeHaan says it's probably headed higher. "Gas prices nationally may rise to an average that's 10 to 25 cents a gallon short of $3 a gallon by our peak in spring, with more areas hitting $3 than we previously anticipated just a month ago," DeHaan said. And in California, which recently enacted a 12 cents a gallon increase in the gasoline tax, DeHaan predicts the statewide average could hit $4 a gallon by Memorial Day, a level not seen in a decade. On top of everything else, demand for oil and gasoline is rising, thanks to a new burst of economic growth, not just in the U.S. but around the world. Consumers can expect price increases to gather momentum toward the end of this month as oil refineries begin annual maintenance and the switch-over to producing more expensive summer grade fuel blends.